- known flaws (including fatigue cracks found in service). - assumed flaws (including consideration of the original joint or NDT detection limits). - tolerance to flaws (including fitness for purpose assessment of fabrication flaws for particular service requirements). 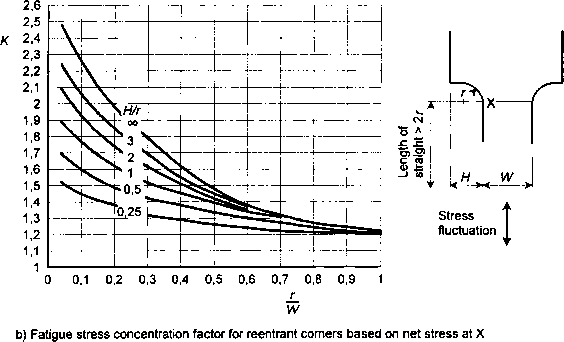 (2) The method covers fatigue crack growth normal to the direction of principal tensile stress (Mode 1).